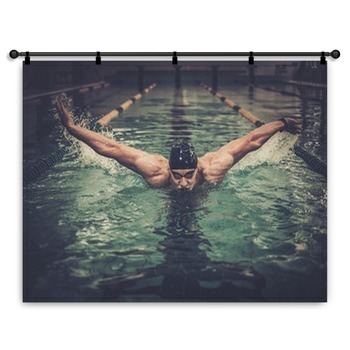 Dive into a fabulous collection of swimming wall art. 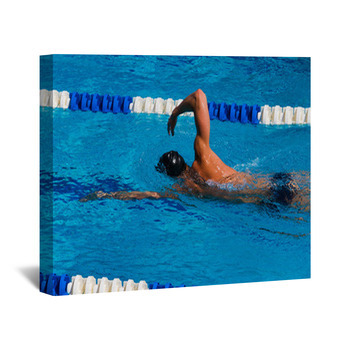 Bring the power of a butterfly stroke in a pool of aqua to a custom size wall mural. Go! 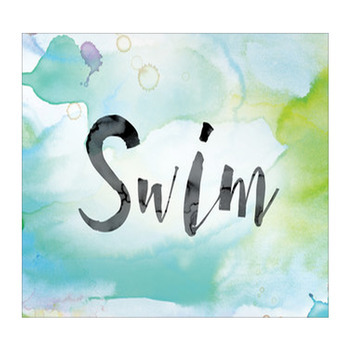 with a splayed hand and a pointed toe angling for an easy win on a swimming themed wall hanging. 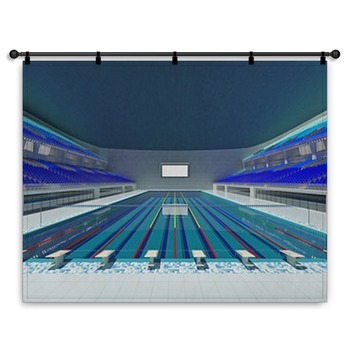 Look up at swimmers crawling through bright bubbly blue, with the cabled stripes of lane dividers adding stripes of wildness to a custom wall sticker. 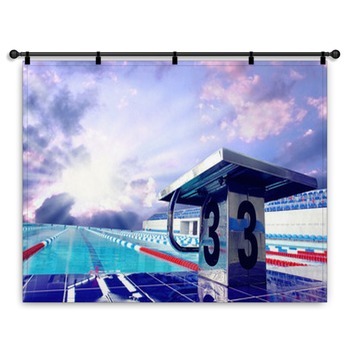 Cap splashing turquoise and shimmering aqua with silver clouds on a swimming wall mural. 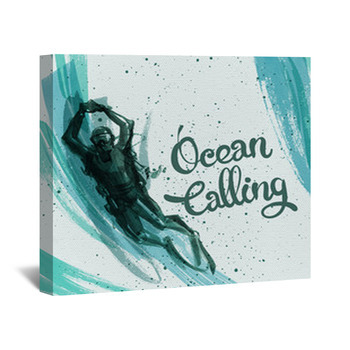 Leave the competition behind and swim in different seas with custom designs and swimming wall art. 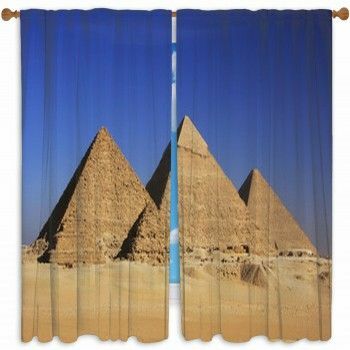 Sink into a blue green illustration of the sunken temples and toppled statues of Angkor Watt on a custom swimming themed poster. Let koi be the bright shiny swimmers in a light-dappled Japanese pond on a window decal, or keep a house from slipping under silky teal waters and toss it a life ring to keep it afloat on a custom wall hanging. 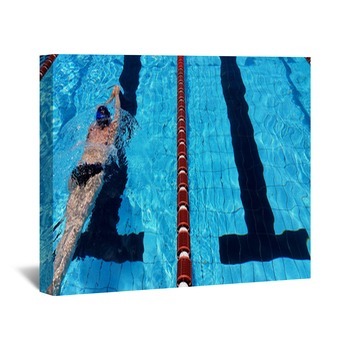 Whether you want to keep some family fun on your walls or keep a drive alive in your own lane of an Olympic pool, let this swimming themed wall art bring you perfect angles and beautiful tones; from the sleek legs and precise form of swimmers diving into the cool of a shadowy pool and the heat of competition to the perfect placement of shoulders powering above the surface of a swimming themed gallery wrap. 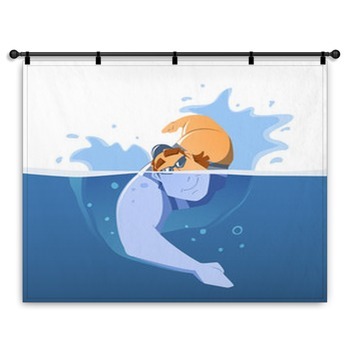 With different strokes for different folks, this collection of swimming wall art is headed for gold.